MAD FACE celebrates those wacky and wild, first date-ruining faces we all make when stuffing ourselves with delicious food. Ecstatic eyes, nostrils flared, mouth open way too wide…followed by a combination of chomping, smearing, smacking, burping, maybe even a questionable moan…It’s not pretty, it’s hungry—it’s never been so hungry. MAD FACE is a community of food makers and food lovers united by a shared passion for cooking, drinking and, of course, eating. Our MAD FACE members come from all walks of life and with diverse relationships to food: head chefs and home cooks; traditionalists and try-anything-once types; domestic goddesses and dons of the deep fryer. Their cooking backgrounds range from culinary school to grandma-taught to self-taught. Whatever their story, they enjoy telling it on a plate. In short, we meet to eat and friendships are fostered through the breaking of bread, the melting of cheese, the slurping of sauce…you get the picture. 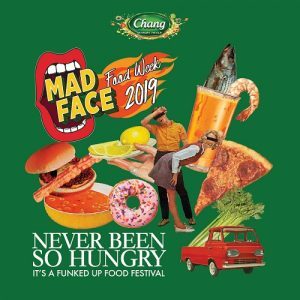 MAD FACE FOOD WEEK is an annual event that brings together the most compelling and frankly, mad players and personalities in the regional F&B family. The 3-day gathering serves up a fresh perspective on Bangkok’s eating scene, one not driven by awards or “best” lists but by characters, community and a healthy dash of crazy. This is the food festival where chefs and cooks cut loose, create what they want, and have a dance-off with their diners along the laid-back Chao Praya River. 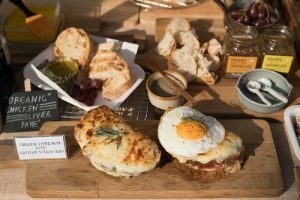 At the center of the festival is a lively marketplace of more than 60 stalls, twice more than last year, hosted by chefs, home cooks, restaurants, families and foodies. 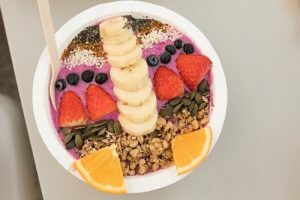 Each vendor will put forth a laser-focus menu, serving 1 or 2 original creations that have never been featured on their regular menus or repertoire. Stalls are set up for socializing, with neighboring vendors coming together to create different ad-hoc “zones,” complete with their own music, look and vibe. Stay hungry! Butter-laden pastries, calorific desserts and caffeine with a kick—everything your doctor warned you about, all conveniently in one place. You’re welcome! Take your tastebuds down…to Chinatown with the doers, makers and cocktail shakers from Bangkok’s buzziest neighbourhood. The ultimate “hands-on” eating experience. BYOB: Bring Your Own Bib. Not recommended for first dates unless you want it to be your last date. Meet the guys and girls with meat-grinding skills in both the kitchen and on the dance floor as they cook up something other than trouble. 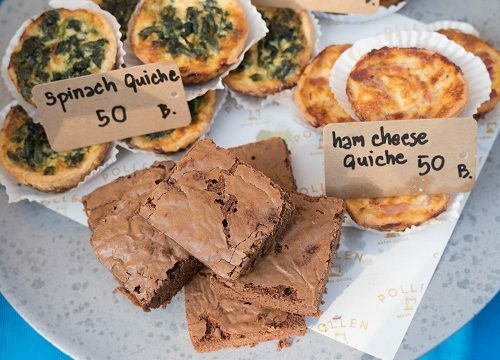 Ain’t nothing nasty about these au naturel goodies, lovingly grown by the region’s grooviest grocers. Seafood is fresher than you. Pick your shellfish or sea fish and have it cooked—or uncooked—your way. Our city’s eating scene wouldn’t be so damn tasty without these chefs and restaurateurs who call Bangkok their second home. Sample crazy, rich flavors prepared by real and honorary Asians. Nutritious, guilt-free and gut-lovin’ fare—the food here are healthy, ain’t naughty. Pimento! Flamenco! Tesco! Olé! Eat, drink and dance to this flamboyant showcase of Spanish culture. It’s a MAD FACE-OFF! In our friendly culinary competition, two collectives, comprised of chefs, mixologists and a whole host of colorful characters, will be curating and running their own “pop-up” restaurant experience throughout the 3-day event. Their approach may differ, but these two groups have bonded over a mutual respect for food as well as one another. The Mad Face Bar offers a variety of drinks in all area. Furthermore, there is a cocktail bar by the river serving special cocktails created by a collaborative effort among local mixologists. Prepare for funk, fun, and a whole lot of spirit throughout the weekend.